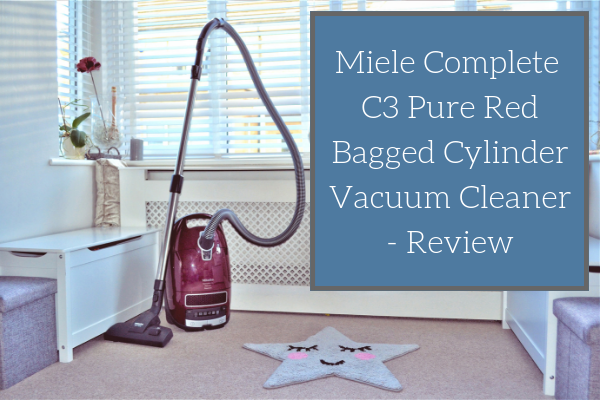 I am going to start by telling you how I found this Miele Vacuum to perform in terms of function and ease of use at home, as a busy mum of two small children, before discussing the more specific and technical aspects and issues. 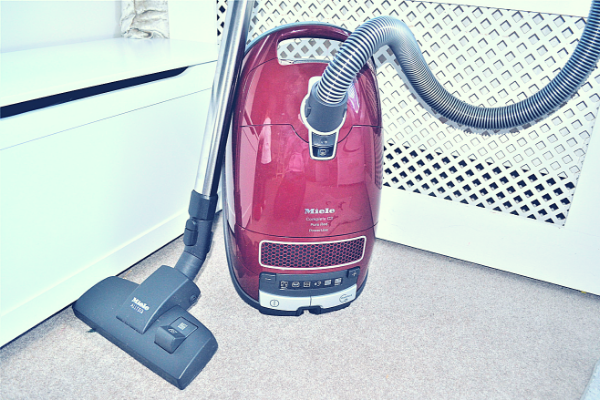 I started by trying this Miele vacuum in our lounge first - this is the one room in our house where we have carpets (apart from the stairs) and I'll be honest, it really needs a good clean! Snack crumbs, snotty tissues, baby sick, malting hair and dusty feet make for a room which needs to be vacuumed constantly so I was really keen to see how this one did. 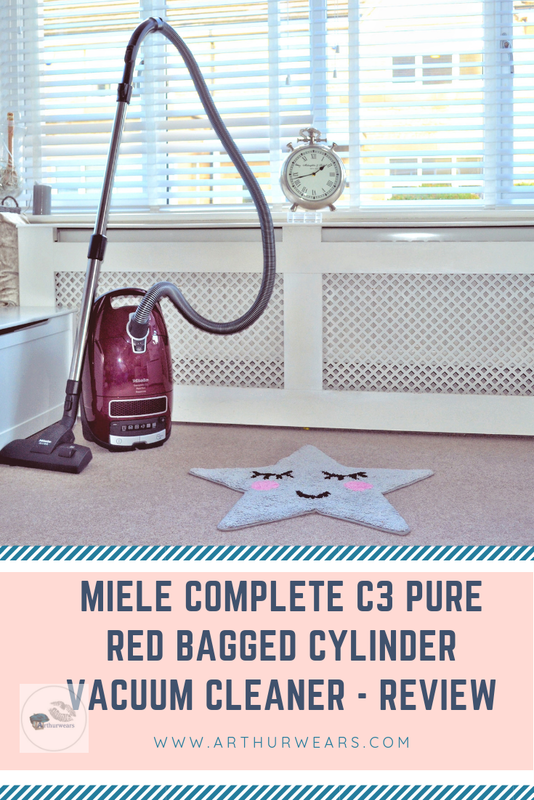 The Miele Complete C3 bagged cylinder vaccum can be changed between use on a carpet or hard floor easily with the flick of the switch on top of the floor head. I retracted the brush and got to work...and I mean REALLY got to work! The suction power, which is displayed on a digital screen and can be increased or decreased by the touch of a button, was set to max. This meant that I had to use a lot of effort to manoeuvre the floorhead, because the suction was SO strong. 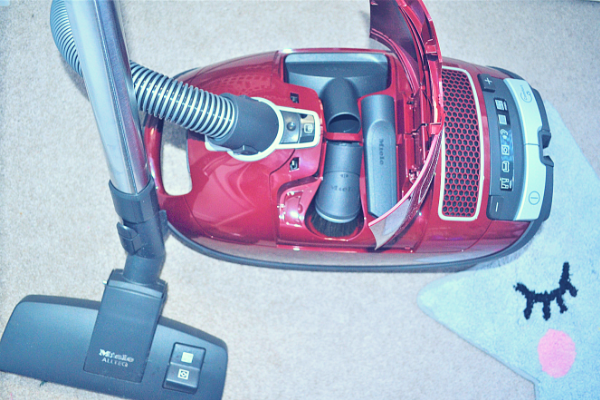 It was satisfyingly strong, like I really did feel the carpet was getting a great clean, but I suddenly understood why my old physio told me not to vacuum when I was pregnant and struggling with SPD!! Lowering the suction made it easier to push and pull the floor head around, and even with a lower suction, I could still see the carpet 'lifting' with the power. 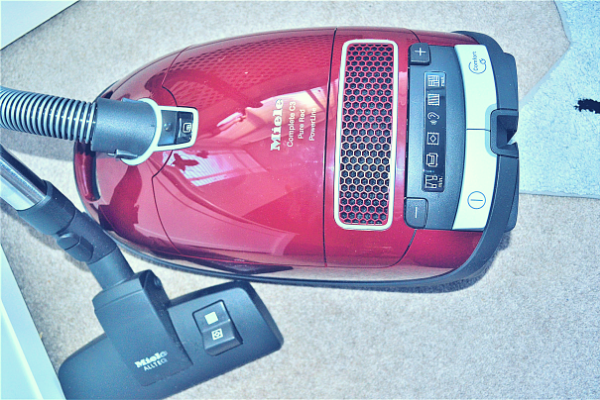 Of course, the benefit of a corded vacuum cleaner is that I could use the maximum suction power, and for as long as I liked, without worrying about the battery dying! The telescopic suction tube can be removed so that the smaller tools can be fitted straight onto the suction hose, which I found really handy for vacuuming the sofa and also the stairs. I'll be honest though, after using a handheld on the stairs and not having to worry about a cable and a vacuum to carry up and down, I did find this tricky. As far as bagged cylinder vacuums go, this is pretty light weight, but I think I'd only use it on the stairs for an intensive clean, not every day use. The cord length is 10m - so I could do my lounge and hallway and make my way into the kitchen before having to unplug, go back and plug it in elsewhere...so I guess this could be a good or a bad thing depending on how far you need to vacuum! All in all, as far as cleaning goes, its done a brilliant job - far better than my current hand held and the difference in performance is quite obvious, especially on the carpet. I think that reviewing this vacuum would have been a WHOLE lot easier if the instruction booklet were specific to the model. It wasn't. The images within the instructions were actually for a different model with different bits, so trying to fit the suction hose on, and the handle, by following the instructions was really confusing. The instructions also talk about activating the exhaust filter timestrip before starting, with different instructions for different exhaust filters. It wasn't obvious at all which filter I had, even the filter itself didn't give me any clues! I couldn't find a time strip on my filter so I am going to assume, by process of deduction, that my filter is just the "Airclean" which is the one in the list which doesn't need activating and isn't 'light blue'. Apparently, you need to change the Miele exhaust filter every time you open a new 'packet' of Miele dustbags. A packet contains 4 dustbags. You also need to replace the motor protection filter after every packet too. 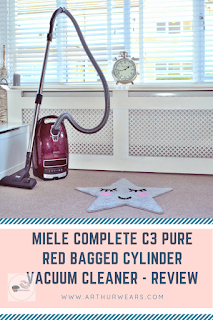 Luckily, a packet of Miele dustbags also includes an exhaust filter and a motor protection filter so everything required is included. The Miele Complete C3 Vacuum only came with one dustbag which was already attached - so I can't comment on the ease of changing the filters, or the dustbags, and the instructions aren't amazingly clear. One thing I will say is don't lose the instructions, because although they aren't easy to follow, you will need them if you aren't used to using a Miele Vacuum. 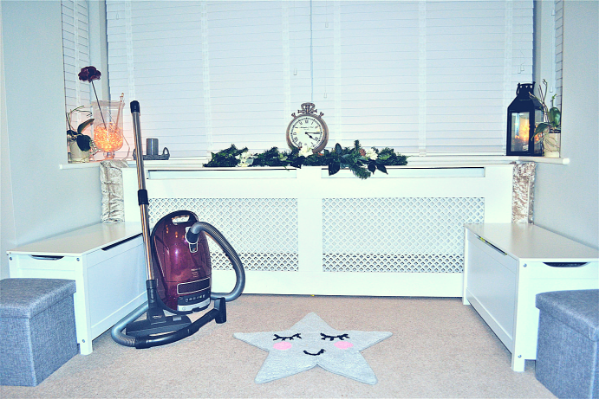 The cleaning results are great, which is essentially why you would buy a vacuum! The instructions!!! Very hard to navigate. Contains info from other models and some diagrams are within the language settings, others fold out at the back of the booklet. The adjuster for the telescopic tube is exactly where I would place my 'lower hand' if I were using two hands to vacuum (such as when the suction is strong) This means I did keep accidentally adjusting the length of the tube whilst vacuuming. 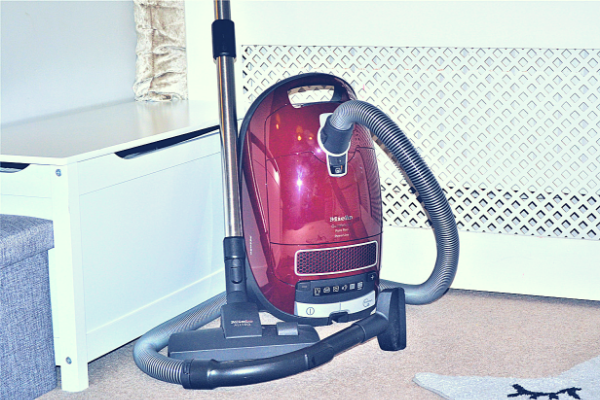 An excellent vacuum cleaner which really delivers when it comes to function and results. The suction is extremely powerful, but easy to control with the push of a button and a digital display. This gave my carpet a brilliant clean and it wasn't too noisy either! It has a great little 'park system' to hold the telescopic tube and floorhead upright when pausing or storing away. It is lightweight and easy to use, especially when changing floor types or tool types. The main drawbacks relate to the operating instructions rather than the product itself, which are hard to follow and are not model specific. 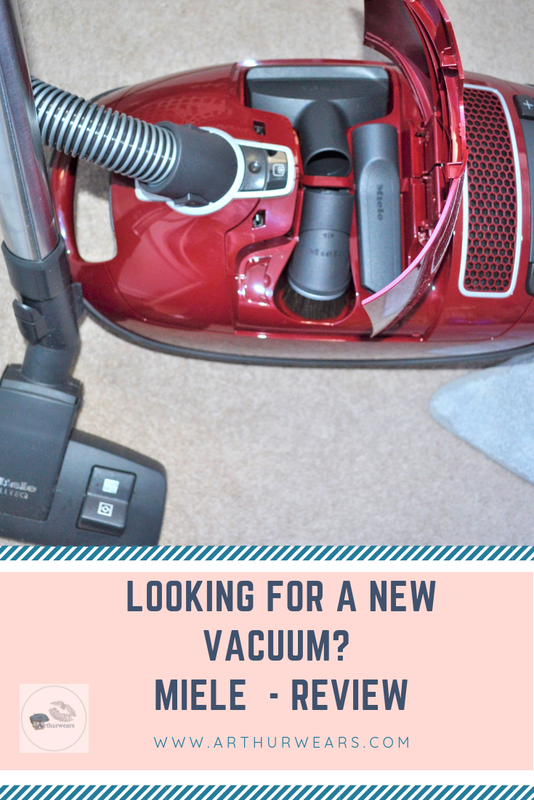 If you were familiar with the more technical aspects of the vacuum cleaner then this wouldn't be a problem. In comparison to a hand held vacuum cleaner, it isn't as easy to use on the stairs, but it does appear to give a better clean, and the light weight design means that it isn't too cumbersome carrying it up and down the stairs. Well worth the money, in my opinion - especially when compared to some of its more expensive competitors. Oh, and did I mention it looks quite nice too?? PS: If you have this model and would like to share some hints and tips on the technical issues please do! Disclosure: We were sent this vacuum cleaner from AO in return for an honest review.